Caveat: this post is in no way a slight at my 20s or 30s. I loved both…but just for different reasons! One, in my 20s, I partied like a rockstar without a care in the world (no shame admitting it here, c’mon you know some of you probably did it too!) 🙂 And two, in my 30s, I accomplished many of my professional and personal goals. I carved out a life as close to what I had envisioned as possible despite numerous challenges. But as much as I had fun and became more successful during these two decades, it’s in my 40s I feel I have come into my own. Whatever it was, it felt good. So good, it compelled me to pull out my favorite shirt dress and pair of shoes, add a touch of light makeup (rare for a girl who only wears lip gloss or lipstick during the day and full makeup just on nights out) simply because I wanted to look and feel my best. I expected my feeling of euphoria to subside once the day went by but it never happened. As I headed home on my train ride, I did what I always do – reminisce about the day. 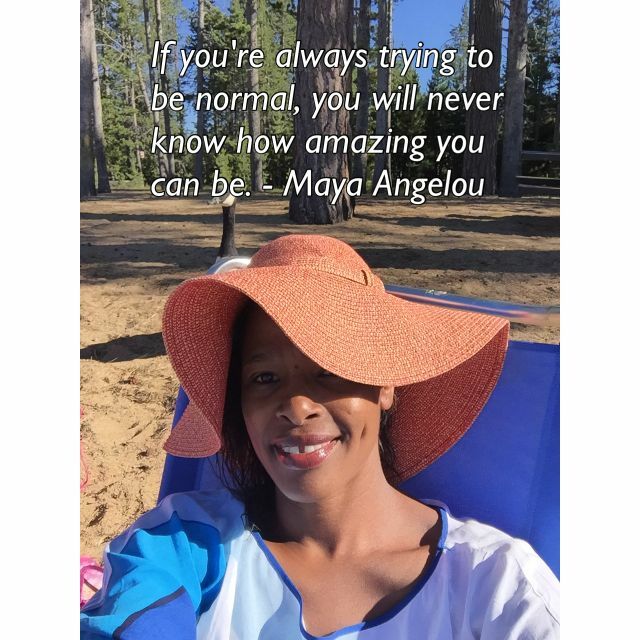 It was while I was halfway home that I had my aha moment – the same ephipany I had when I came back from my Tahoe family gateway a month before – that I LOVE being in my 40s! But why I asked myself? What’s so different from previous years? I realized that it was not one thing but a host of things that are making this decade so special to me. There’s nothing more empowering than accepting who you are, as you are. It allows you to appreciate what’s right with you and to embrace what flaws you have. You accept that the notion of perfection is unrealistic (and frankly a little boring!) and may stop you from acknowledging your accomplishments and realizing your full potential. You stop defining yourself based on what your family, friends, or society wants you to be. Pure and simple. As we mused in this Mother’s Day blog post a couple of months ago, no one knows you better than yourself and understands what makes you tick more than you do. So why put the burden of your happiness on someone else? Go out, explore your passions, engage in activities that make you feel rejuvenated, special, and true to yourself. You can embrace acts of kindness from others but you should never anticipate it because you set yourself up for disappointment. You might be able to wield some influence but ultimately the will to change lies with the other person. Whether it’s your spouse, sibling, child, or friend, it’s unfair to try and change anyone to suit you. We’re all born with unique characteristics and some behaviors we pick up from our environment. Imagine someone trying to tell you to change who you are? Even when you know that it might be good for you, the notion that the person wants you to change for their own benefit is off putting and yields resistance. Sometimes adjusting your own behavior towards the person can bring about the change you desire in that person. A few years back, I was constantly bumping heads with someone near and dear to me. I couldn’t understand why we couldn’t get along. One day she identified what it was about me that she didn’t like. At first I was defensive and didn’t want to hear it or even reflect upon it. Because our relationship mattered to me, I decided to take a step back, examine myself and see if there was some truth to her observation. I replayed our interactions in my mind and realized she was spot on and started to work on myself. Today, our relationship is in a much better place simply because I adjusted my behavior. When I was in my teens, I often wondered why my mom and oldest sister didn’t have many friends. I even judged them a little and thought that they must be unfriendly. Fast forward to today and I get it. 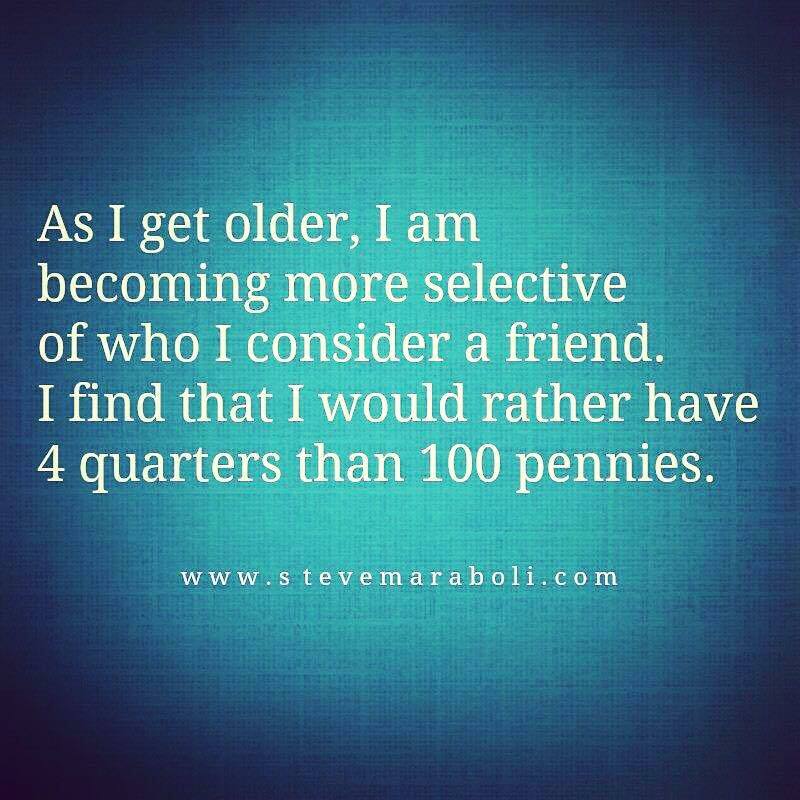 As you age, you realize that it’s better to have friends who value you for who you are. Friends that want you to be successful and who are happy when you’re happy. Friends who care for your well being and those of your loved ones. Friends who bring the best out of you. You recognize that there’s literally no room or time in your hectic life for drama or BS. You refuse to conform to anyone’s notion of what is the norm. I once had someone say to me that my gap would be a hindrance in finding work. They literally said “I would never hire someone with a gap.” It was their not so subtle way of telling me that maybe I should do something about my gap. Unfortunately for them, that was never going to happen. Why? Like my mom used to tell me when I was little, “why would you want to look like everyone else?” My gap is a part of my DNA and if it makes anyone uncomfortable then it’s their problem. They’re the ones missing out on an opportunity to get to know me. It’s their loss, not yours! You’re the only barrier to what you can achieve. 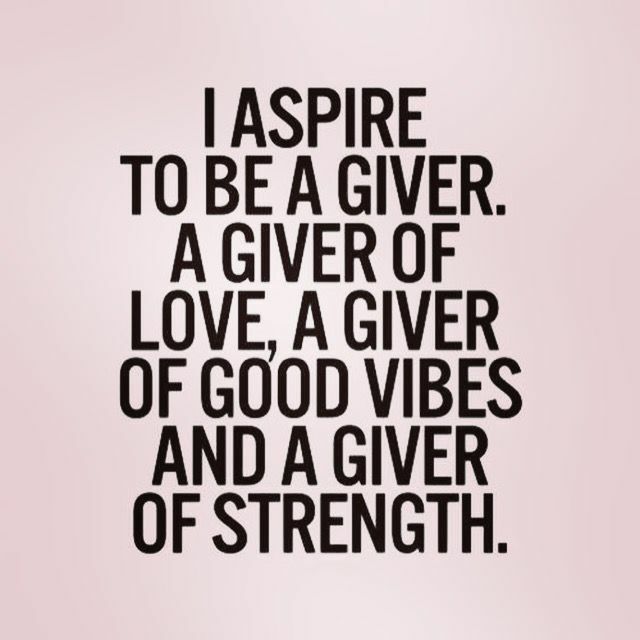 It’s not that you don’t care for others, you do. It’s just that you don’t pay attention to what others think of you. You take everything lightly. Things that matter to you stick while those that don’t gladly roll off your shoulders. 9. I enjoy my own company (though I always have even in my 20s and 30s.). The difference is I don’t care that some people find it odd or anti-social. I absolutely love shopping alone (even if I come away with nothing), curling up with a good book, practicing yoga, going for a walk, cooking while I watch my favorite show on my laptop, and much more. I’ve even been known to relish in the occasional movie and drink out on the town on my own. You should try it some time. It’s quite liberating! 10. I truly understand the value of family. They help you rise up when you fall. They encourage you when you’re discouraged. They give you hope when you’re hopeless. They support you during your toughest moments. Make you happier than no one else can. Frustrate you like no other. Love you unconditionally (well most of the time. 😃) But most of all, give you a sense of security and belonging. Even when you don’t get along, it’s comforting to know that someone, somewhere is a part of you and more likely than not, will always have your back. As long as you have your health and mental fortitude, there is nothing that you cannot achieve. It may not be at the same level as someone else (after all, there can only be one Serena Williams, Michael Jordan, or Simone Biles) but just as worth it and rewarding. So dare to do it! As long as you’ve done your best, move on! No one is perfect and no one will ever be. BE BRAVE! Put your best foot forward, execute, reward yourself in ways only you know how, and get on with your life. This one is a tough one to master and I must admit still a work in progress. 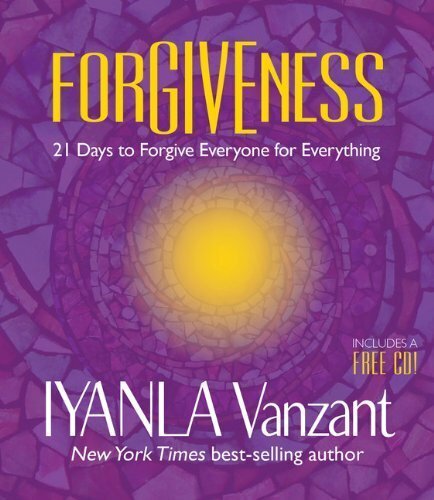 As we mused in this blog post in January, forgiveness is one of the things we are committed to achieving this year. We acknowledge that it’s a struggle but well worth the effort. It lifts the weight of anger and negative feelings from you and gives you the space and time (mentally) to foster and nurture your healthy relationships with love and kindness. 14. I affirm myself and take and own my seat at the table. I’m not a fraud. You keep self-doubt at bay. And even though it may make it’s way back every so often (we’re human! ), you refuse to fall victim to it. This powerful quote from Suzy Kassem reminds us all of the danger of self-doubt and why we must fight it So go ahead, claim your seat at the table! You deserve to be there! 15. I proudly took and accepted my place as a role model, sponsor, and mentor to young women and girls. I recognized that through my unwavering support, they can, and will thrive. It’s not enough to say it. When you find your passion – that thing that gives the most meaning to your life as an individual (not parent, spouse, friend, etc.,) –DO IT! It will get you through your toughest times, and keep you positive, motivated and hopeful. Oh, and there’s never the perfect time. Remember our 30 minute rule? Try it, because it works! This blog is a perfect example of finding the time to do what I love despite all the other roles I play in my life. It may take weeks to publish one blog post but it eventually gets done! 16. I ask for what I want, need or deserve. You don’t ask, you don’t get. Never leave any situation wondering “what if.” Many times, the assumptions you make about the outcome if you ask are off the mark; they’ll say no, he’ll judge me, he’ll get upset, they’ll think I’m demanding, she’ll think I’m not smart enough… All these possibilities may be true but you’ll never know the result if you never speak up! Your turn. What do you love about your 40s? Share with us and our readers in our comments section below so they too can be inspired to love their 40s. Not hit your 40s yet? We hope our blog post alleviates any anxiety you may have about this milestone and gives you something to look forward to when you get there.